1. Measure your height in cm. 2. Measure your waist in cm (just above your navel). 3. Divide your waist cm / height cm. My waist is 70cm and my height is 168cm, so my waist to height ratio is 42%. 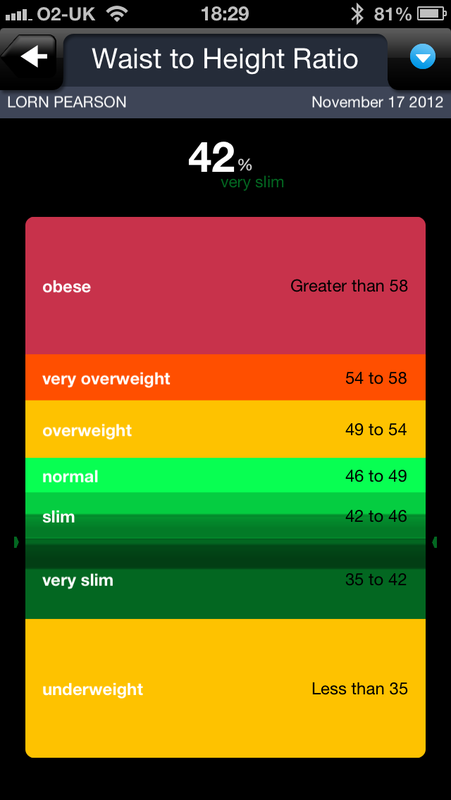 On the scale above its just within the ‘very slim’ category. (See the image above, or list below for the other categories). I’d say it’s probably a good way to measure how healthy you are without focusing on your weight or (the rather old fashioned measure that is) BMI. 🙂 and a good simple measure that you can improve or maintain over time.